The Xbox One is less than a month away from launch but gamers can give the console a test drive early! 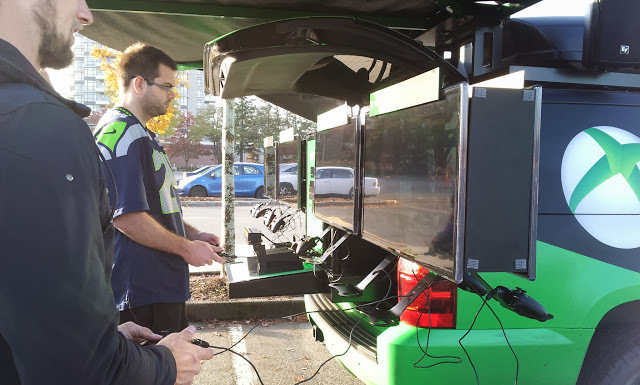 Xbox One Truck is in Vancouver for two days and I swung by before work this morning to give it a go. 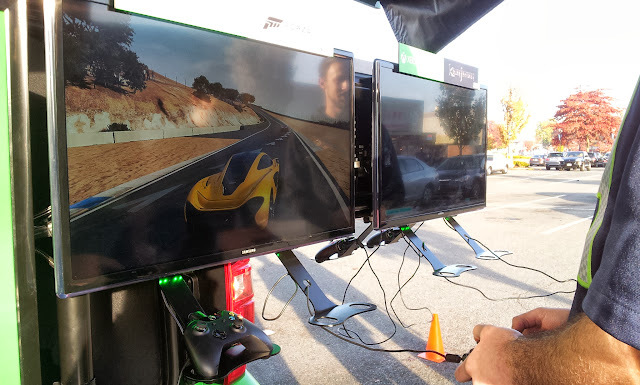 Players can try out the games Forza 5 or Killer Instinct. I played a game of Forza 5 before leaving. It's hard to tell what I think of the console without sinking that much time into it. 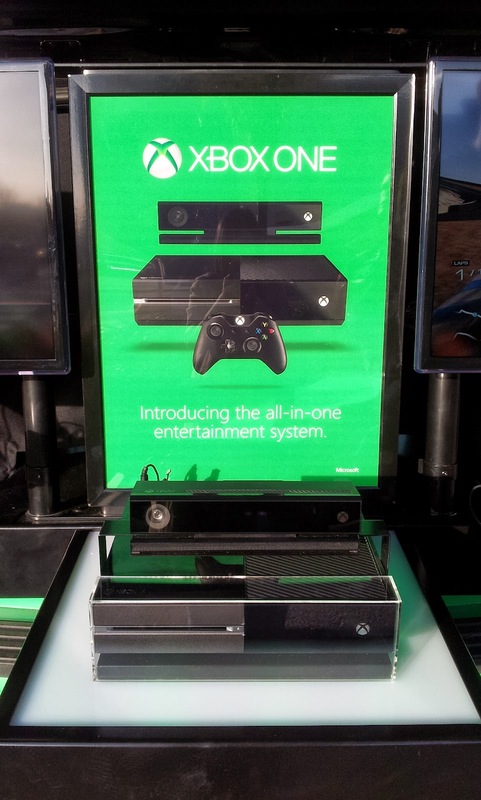 And there's no game to demonstrate the the improved Kinect. I mean, it's nice. 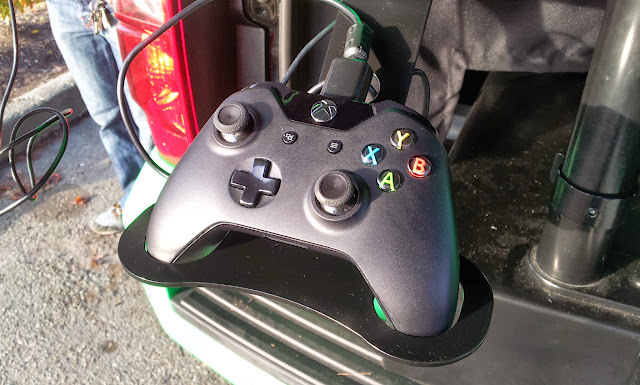 The controller felt nice in my small hands but again hard to tell if I'll get hand cramps after long periods of play. 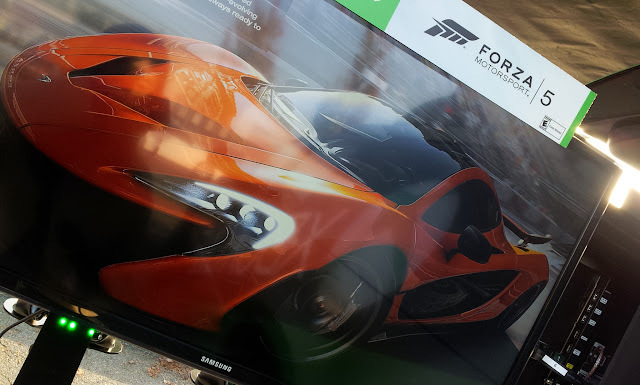 XD The Xbox One is an impressive machine, though I'm wondering if I will use all the extra new TV and social features they are advertising. I'm pretty sure I'm going to get the console in the future, just not on launch day. 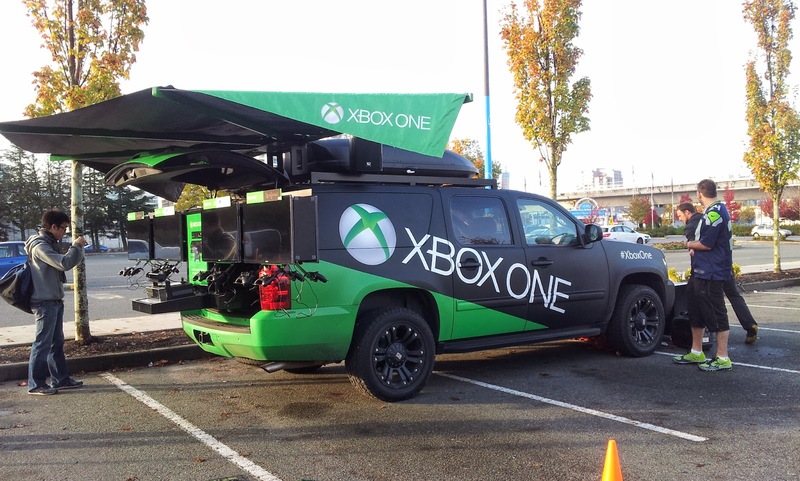 The Xbox One Truck will be in the parking lot front of the Lansdowne mall, Richmond Best Buy until 5pm today. If you can't get off work today, then you can catch them tomorrow from 4pm-8pm at the BC Lions Street Party at BC Place! Check out the Xbox One Tour website to see where else you can catch the demo truck!